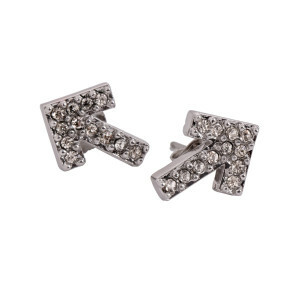 Stand Up To Cancer with these crystal arrow stud earrings designed by Devon Leigh. Featuring the Su2C signature arrow in czech crystals. This pair of stud earrings is sure to make a statement while helping to support accelerated cancer research.